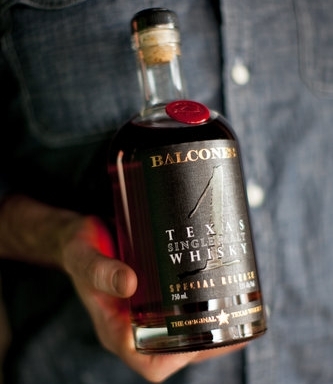 Single malt American whiskeys are on the rise and with Balcones Texas Single Malt winning the “Best in Glass” distinction over a number of Scottish perennials, it’s time to start paying attention. The key distinction here, is that while most of the American history of whiskey focuses on corn or rye based mashes, single malt whiskeys use a malted grain, normally barley. As the Times article also points out, this focus on malted barley is a perfect match for many craft distillers who got their feet wet in the beer brewing game. But it isn’t simply a replication of European methodology that is responsible for the excitement. Many of the US single malt distillers are expanding outside of the fairly narrow rule-set that defines these types of whiskeys elsewhere in the world. Innovation around the aging process, ingredient additions, and weather effects are pushing the limits of what we’ve seen in the past. I’ve had a few of the single malts listed in the article and I’ll be honest, I haven’t loved them all. But that doesn’t mean you shouldn’t be trying them. Part of the beauty of single malt production is to stay connected to the process. As these guys learn and adapt, the product is only going to get better and better. On another exciting note, the Night Cap NYC is about to announce our next event and it’s going to be even better the last one. More details will come once we have everything in order, but stay tuned for tickets and much much more. Happy Weekend and go grab some American Single Malt!